Often times it is the key difference between a struggling business and a thriving one. For a sales department, referrals are the gold standard in lead gen; highest close rate, best-fit customers, easiest to sell. The new customer already comes in the door warmed by someone they know, like, and trust. Everyone knows how powerful word of mouth marketing can be for a business. So what’s the problem? Largely word of mouth is unpredictable. One week you can get a ton of new customers through referrals, the next is crickets. For most businesses, it’s like trying to catch lightning in a bottle. So how can one make it word of mouth referrals predictable? Plain and simple, a business should take a modern approach to word of mouth marketing strategies. An approach that utilizes personal connections and technology to drive referrals. Before we get into the way word of mouth marketing is done today, let’s talk about the history of the term “word of mouth marketing”. Word of mouth marketing was first established in the early 1970s. The earlier techniques stem from generating buzz and just people talking about your brand, sending sample products, and other grassroots approaches. There are few main problems with this older way of word of mouth marketing. 3) The ROI is hard to prove. Today’s word of mouth marketing is a driven approach based on today’s technology instead of just waiting for referrals to happen. With all the different marketing terminology out there, it can seem like word of mouth marketing is really just an umbrella term for it all. Here are a couple of terms that use the basic fundamentals of word of mouth marketing. Viral marketing – plainly put, viral marketing is when customers are encouraged to share information about a company via the internet. Think of the recent Ihop (Ihob) marketing scheme. This tactic created a ton of commotion and word of mouth for the popular pancake/burger chain. Buzz marketing – it’s in the name, it’s basically controlled chaos. Buzz marketing is all about creating buzz for a brand. The goal is to get people talking about you, so tactics need to be put into place. Many brands will create a buzz by producing something outrageous, super funny, or something that will tug at customers heartstrings. Again, think of Ihob, many people found it funny, some were outraged, and other brands had a ball pecking fun. Why word of mouth marketing is a fit today? It’s pretty clear to understand that word of mouth marketing is an ideal channel for today’s marketers. But, there are two things about it that really stick out to marketers. One is that it works well with the channels most marketers are already using. Making it even easier to connect with customers. And finally, that word of mouth is data-driven and easy to measure. With the proliferation of social media and mobile, people are both more connected and more distracted than ever before. The cost of a consumer’s attention is higher than ever. Word of mouth examples in today’s world use these connections to their advantage by making it super easy for consumers to share with each other. With personalized URLs and codes, all the activity is measurable. Because the sharing is on a one to one or one to many bases, sharing from a friend can cut through the noise to grab a user’s attention by being from someone they know, like, and trust. Gone are the days of spray and pray, where you can’t even attribute a referral to a specific campaign. Today’s marketing is all about data. As a proper data-driven channel, it should be predictable, repeatable, and most of all measurable. From the data side, both a marketer and the individual sharing want to know how effective their sharing is. With the proper technology, today’s word of mouth marketing strategies can provide statistics, notifications, and provide nurturing reminders to keep all parties engaged. Done properly, word of mouth marketing can be a channel for growth. Word of mouth is already happening for most businesses, but without the right tools to attribute the data and influence the outcomes, word of mouth marketing cannot be measured against other marketing channels. Once you can track sales and relate them to spend, word of mouth marketing can be a strong contributor to your business-wide marketing strategy. Here are a few key advantages of using word of mouth marketing over other channels. 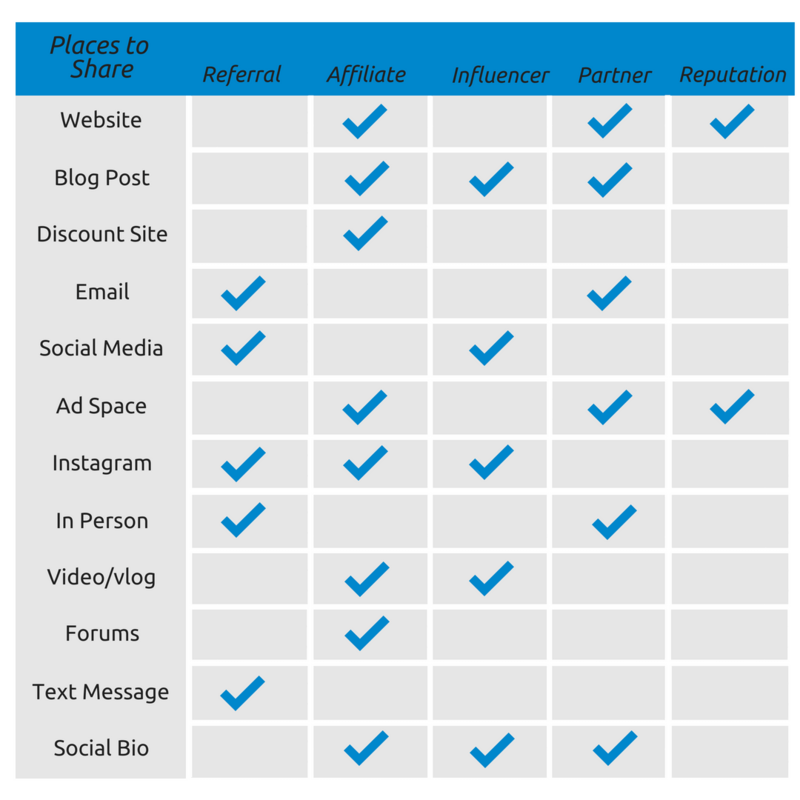 Word of mouth channels can be owned media. It’s based on the relationships with customers and partners. This is a channel you don’t have to pay to play (like PPC, and other advertising). Like an email marketing list, you have control and access to this channel no matter what. It becomes a true marketing asset. Today’s word of mouth marketing channels aren’t just for views, clicks, and the hope of revenue dependent on the strength of your conversions. When the desired action happens (in most cases a sale/purchase) that’s when you pay. With true performance-based marketing, you can also make the incentives have alignment with your businesses cash flow. So an incentive can be unit based, percentage based, paid once, recurring payments, or paid out over time. Aligning incentives and their terms are very important to get right. These incentives can be a huge boost for customer retention as well. Not every business these days can drive tons of leads through SEO and content marketing. As more and more businesses are online, paid ads are getting more expensive and unsustainable for many businesses. A business can hit a point where you are serving ads to the same potential customers. This is cannibalizing your own ad spend and competing with yourself. Inherently, the performance marketing/pay per sale you can’t cannibalize your spend since you are only paying for the single sale. The coveted >1 viral coefficient is possible, but largely a dream for most. Most of us aren’t Uber, Dropbox or Airbnb, and our product does not have quite the mass consumer appeal. Even without a true viral nature, word of mouth marketing programs like customer referral programs can have strong network effects. Referral programs often feed on your customer base, which comes from all marketing channels. 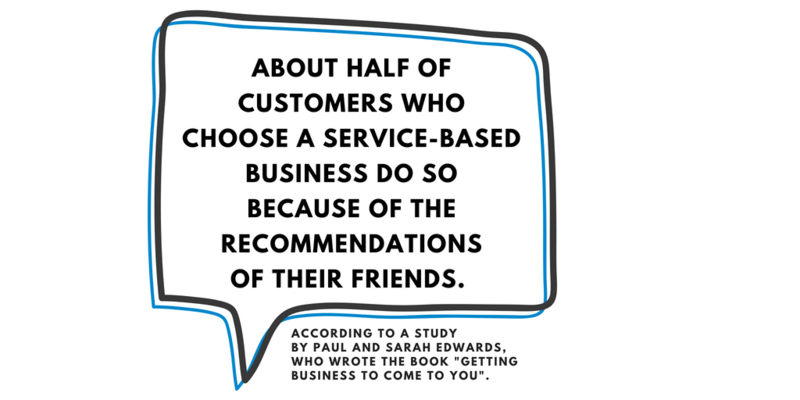 So no matter what marketing channel the customer came from they are all being fed into a strong word of mouth program. 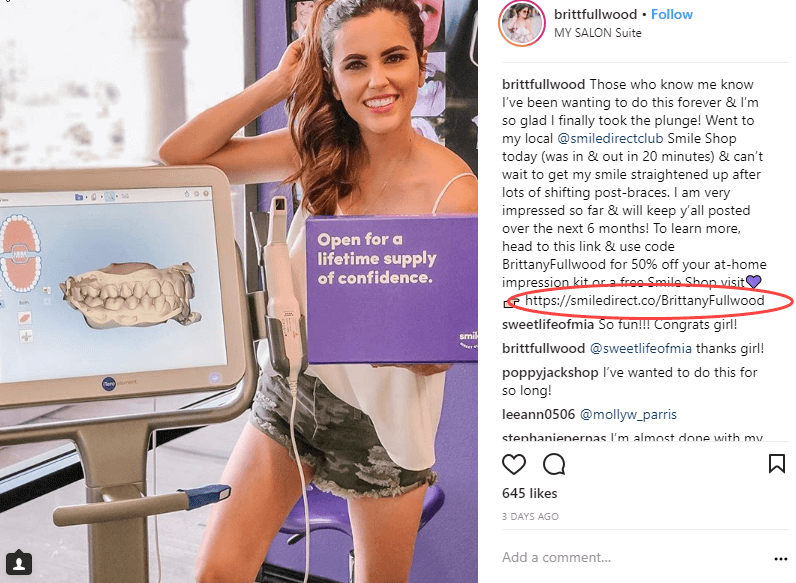 So what are these data-driven word of mouth marketing strategies? Any good modern marketing strategy has to be data-driven. In a “what have you done for me lately” and show me the “ROI” demands on marketing budgets, the data has to be there. Some of the other important characteristics are predictability, repeatability, personalization, and ethicality. This isn’t having a customer fill in old forms. Someone might not appreciate their information being given out by a friend filling in their information. This can also be bad for your social currency, as people will be less likely to trust you and your reputation could sour. Making it harder for people to want to share you. Meaning no word of mouth! When you design a referral program, you need to consider the advocate’s journey, as well as the referral. As mentioned, no one wants to be signed up for something, without their permission. This can be accomplished by providing advocates with a referral link to share. 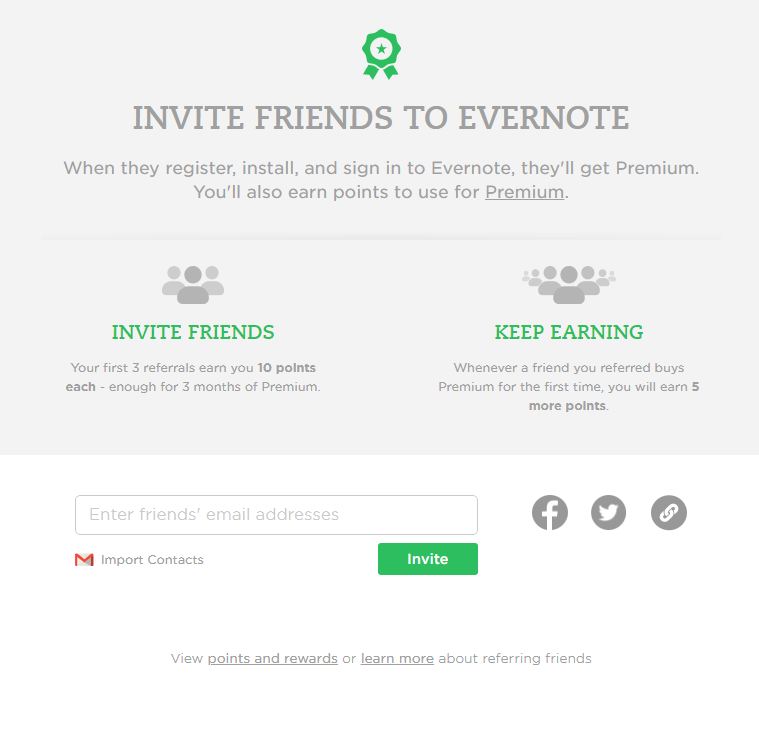 Evernote is a good example of a referral program. They make it easy for both the user and the friend to join and participate by having a good referral program promotion strategy. They use a double-sided referral reward. This further incentivizes both parties to participate and an extra push for word of mouth to happen. A good referral marketing software can help you achieve an easy, seamless, and shareable program like Evernote. These types of programs are also often run by referral software. They, however, use a bit different terminology, often times called finder’s fees. A partner program is great for gaining access to client networks that would otherwise be difficult to tap into. The premise of how to run a partner program should follow the same steps as a referral program. Infusionsoft, offers a few different ‘partner tracks’ programs. Their Sales Partner program offers a 20% commission on all Infusionsoft app sales. On top of that hefty finder’s fee, they offer partners software, training, coaching, and a network of business experts to help them build their own business up. There is a similar trend if you can’t tell. Influencer marketing is another way of increasing word of mouth. Some would say this type of marketing is the modern day word of mouth marketing and focuses heavily on brand awareness. It, however, works best when celebrities, advocates, or top internet famous individuals are involved. So you can imagine, the reach is pretty impressive. When set up properly, influencer marketing software can help you in creating a buzz about a brand. 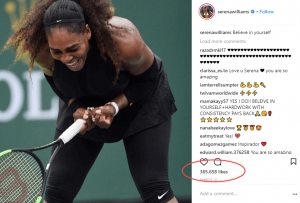 Nike is a big brand, and aside from being a great product, it’s been backed up by several celebrity endorsements. From NBA players, fitness gurus, to famous musicians. Because these people are in the public eye, they easily influence their fan base in purchasing products they enjoy, like Nike. Take Serena Williams. She is a well-known athlete and has a ton of fans. On Instagram, she has 8.2m followers. Which means she has a lot of influencing power. Whether she is asked to endorse or not, she is a great influencer for whatever brands she decides to display on her profile. As you can see, word of mouth can travel through many types of channels. Affiliate marketing is one of them. This type of marketing is similar to referral marketing in that it primarily focuses on new customer acquisition. Most affiliate marketing is done with affiliates who are known for their knowledge in a particular area. For example, a makeup brand may team up with a beauty blogger. Or, a fitness studio, may try to partner with a well-known fitness guru. In this case, Smile Direct Club enlisted the help of a well-known Instagrammer. Reviews are another easy way to create digital word of mouth. Many review and reputation management platforms help not only keep a brand’s reputation afloat, but they also provide good word of mouth marketing too. Though reviews and testimonials are often sought out by the individual, they are often playing a huge role in making the final decision about a product or service. MailChimp is a well-known marketing automation platform. In fact, they have millions of customers. Even still, a new prospect will likely do a bit of research on them, and look through a variety of reviews. This Capterra listing of MailChimp gives a prospect a pretty good idea of what to expect. A ton of reviews and pretty high star ratings make MailChimp very appealing. How do you pick the best channel? All these data-driven word of mouth marketing strategies make use of today’s connected consumers are an owned media channel, performance-driven, scalable and have potential network effects. The best strategies utilize social currency to assist the word of mouth advocate and are ethically sound. Based on your product and business you can take different tactics and strategies to word of mouth marketing based. As you now see, word of mouth marketing can stem from many channels. However, in today’s data-driven world, we want to make things more predictable. Because of this, businesses have begun to take a more modern approach. Now, word of mouth can easily be tracked by the use of technology and different types of programs. Why wouldn’t you want to kick-start your word of mouth?